A customisable Ruined Battlefield in a box. 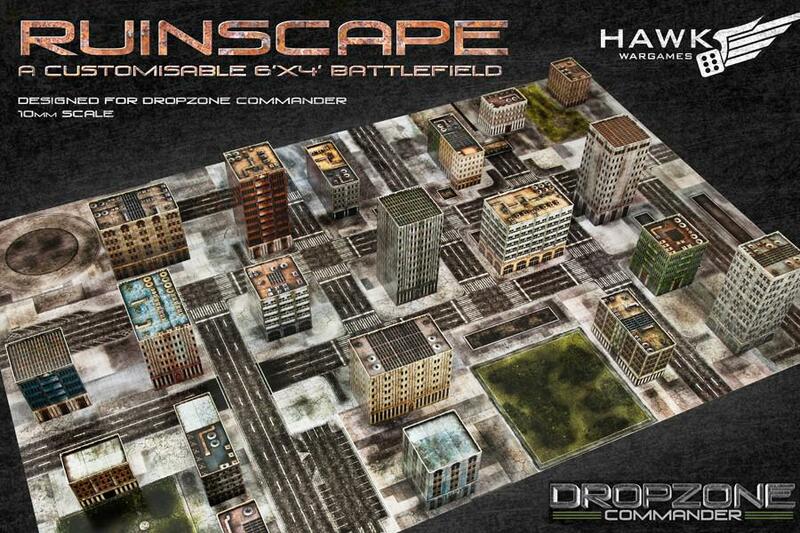 This set contains all the scenery you need for large games of Dropzone Commander - up to 6ft x 4ft. You can use the tiles to build a 4ft x 4ft gaming surface, suitable for 1500pt tournament sized Dropzone Commander games. Each ground tile is double sided and 1ft x 1ft in size, and there are 24 different face designs. This provides a customisable surface allowing for thousands of combinations! The buildings are pre cut and glued down one edge, for simple assembly - there is no cutting required. 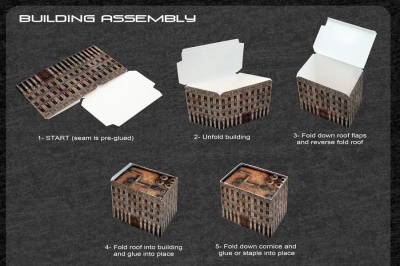 With 20 different card buildings across 5 different sizes, with a vibrant, coated finish, these buildings make an evocative city environment for your game of Dropzone Commander. 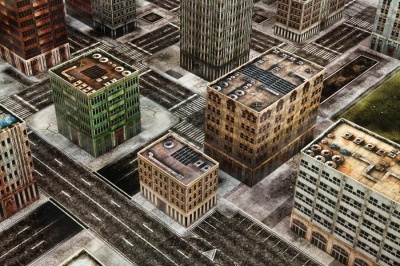 Multiple sets can be combined easily to create massive game boards including a combination of Ruined City and Inhabited city environments. If you are looking for a clean looking scenery board, look at our Cityscape Card Scenery Pack. Build a Complete Ruined looking Urban Battlefield! 10mm Scale.